Exercise is one of the healthiest and most rewarding activities a person can do. From boxing and martial arts to running and interval training, the world of exercise is vast and exciting. But for somebody who has never exercised before, it can also be a little intimidating. Walking into the gym for the first time with no idea what to do, and seeing everybody using complex pieces of equipment like they’ve been doing it all of their lives, might make you feel a little like a lost puppy. If this sounds like you, there’s nothing to worry about! In fact, you’ve landed on the best possible page. If you’ve wanted to work out for a while but have wondered how to start exercising, this exercise for beginners guide is written specifically for you. 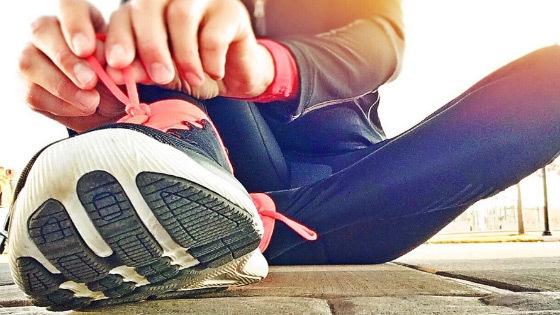 We’ll take you through the best way to start exercising, some ideas for workouts for beginners, and hopefully inspire you to begin your own exercise regimen. You might call it fitness 101 or working out for dummies, but everybody has to start somewhere! 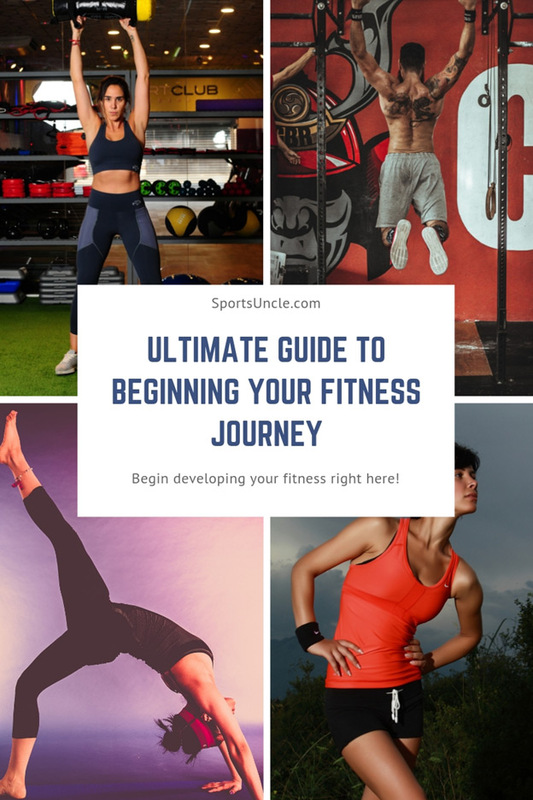 Welcome to SportsUncle’s guide to beginning your fitness journey. We’ll take you through everything you need to know to be your fittest, healthiest, happiest self in no time! This is perhaps the most common question we get asked, and it’s a fair one. We all know the best ways to improve your fitness is to work hard and fast, whether it’s running or high-intensity interval training, badminton or anything else. But that doesn’t help you in the early days! It can be difficult to get into running if you can barely run down the road, and how are you supposed to take up a dance class if you have two left feet? Not to worry, just stick with this guide and we’ll have you up and moving in no time. But first - why should you want to? For somebody who never exercises but is pretty happy with their lives, what are the benefits to beginning to work on your fitness? Some of these you’ve probably heard a hundred times - of course, you’ll lose weight! But others might sound a bit strange. If you’re perfectly happy without exercising already, how is working out going to improve your mood? Believe us, the effects truly have to be seen to be believed and scientists agree. It only takes pushing past one barrier, beating your record one time, and you’ll be hooked! But, you have to start first, right? Exercising for the first time is often quite disheartening. You have no idea what to expect or how to do it effectively. If you go to the gym for your first time, you might lift a few weights then leave, unsure if you’ve done a complete session. If you’re trying to run for the first time, you might get 100m down the road and then stop, struggling to breathe. If you think this is a reason to stop, you’re wrong. This is how everybody starts. Michael Jordan, Usain Bolt - you think these people were born fit? Nope, they went through this difficult period too. In fact, you are lucky because you now know your fitness level. When it comes to developing your fitness, we work on 4 principles known as FITT. FITT makes it simple and easy to understand how we can push ourselves further and improve our fitness. You want to exercise regularly, while also regularly increasing one or several of these variables. This makes working out and building up your fitness easier. Well, if you are running 3 miles per day, you are likely working on the Time variable (timing yourself each time, and trying to do it quicker). Eventually, if you keep exercising this way, you may reach a plateau, where you are unable to do it any faster no matter how hard you try. If this happens, you can shock your body into developing further, and increase your fitness more by working on a different one of the variables. Maybe you change one of your weekly runs to a sprint session, maybe you change the frequency entirely. It almost doesn’t matter, what’s important is if you keep working off the FITT principle, you can get past almost any plateau and keep developing your fitness. But why are we talking about plateaus if this is your first time exercising? It’s simple, you are technically at a plateau right now, and you need to begin working your body differently, and your body will react positively very quickly. Goals are arguably the most important part of exercising. If you have a goal, you can work towards it, measure yourself against it, and change your strategy if you aren’t getting any closer to it. If you don’t have a goal, it’s very difficult to measure your success, failure, and tell how you’re doing. The most important thing when working towards goals is to make your workouts as specific as possible. If your main goal is to lose 20kg, you want to use sprints, circuit training, and other high-intensity exercises that burn fat fast. In the same way, if you want to run a 10-minute mile, you should keep running a mile as fast as possible, and as you can imagine, bench pressing in the gym isn’t going to help you with this goal whatsoever. Your rest days are when your muscles, lungs or heart rebuild themselves, grow and get better. Rest days are some of the most important parts of exercising, so don’t get addicted and start going hard every day - you’ll only wear yourself out and make less progress in the long run. Set out a specific timetable with 2-3 exercise days to start, then go up to 4 as you get fitter. You want at least 2-3 good quality rest days per week, so your body can get ready for your next session. Cardio is one of the most common forms of exercise and essentially involves continuously moving in a repetitive movement in order to exercise the body, heart and lungs. Popular cardio activities include running, dance, martial arts, cycling, aerobics, swimming, tennis and more. For many people just starting out with exercise, cardio is a great way to start as it builds your confidence and improves your lung capacity, which then makes it easier to take up other forms of working out. If your main aim is to lose weight, you should aim to do an hour to an hour and a half of cardio exercise at least 2-3 times per week. If you find it difficult to do this at the start because you can’t run for one hour, for example, gym classes and home exercise circuits can be an easy way to get you moving and building up your fitness before you hit the road. Of course, if you are very unfit or unsure of yourself, even this may seem difficult, in which case there is no shame at all in starting by taking regular walks. 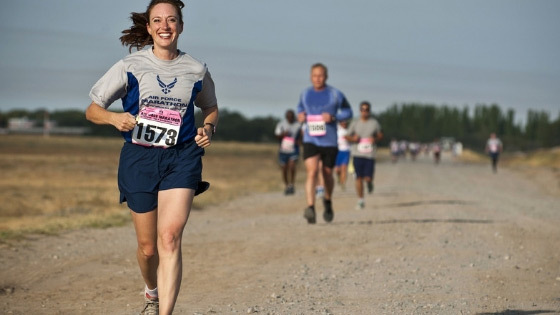 They are still exercising and will help you towards being able to run. If you are taking this route we highly recommend a pedometer as they will make it easy to track your performance and see it improve. Hopefully, you have picked up some new information and will feel more comfortable doing cardio now, but what about building strength? We often get asked how people can start to build their strength at home with no or minimal equipment before they feel strong and confident enough to attend a gym. One super effective way to build muscle at home without any weights or equipment is to use bodyweight exercises. Bodyweight exercises are moves that are essentially using the weight of your own body as the resistance. But how do you deal with plateaus in this case? 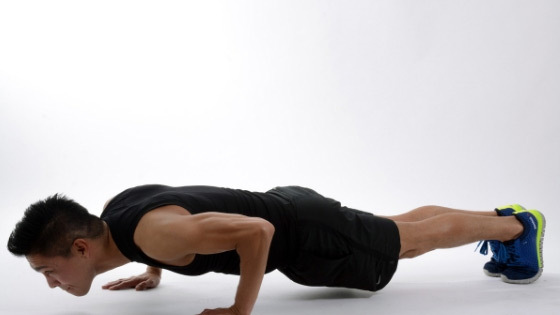 Your weight won’t change, and the more pushups you do, the easier they get. Eventually, you will be able to do large amounts of bodyweight exercises and barely get tired. When this happens, you should start working towards more difficult bodyweight exercises. For example, one-handed pushups, or one-armed chin-ups. Another way to make your bodyweight workout more difficult is to build a circuit that has you running through lots of bodyweight exercises quickly with minimal breaks in between. This is an excellent way to start working out, as it trains every muscle in your body whilst simultaneously giving you cardio training, and it’s very easy to change up and customize if you feel like you’re reaching a plateau. At first, you can just do this once, and will likely feel pretty out of breath, but if you do it regularly, soon you’ll be repeating it 2 or 3 times, or even more. The key is to keep your rest consistent, so go straight from exercise to exercise without a break, and take 30 second before repeating the circuit. Keeping this the same makes it easy to figure out when you’re getting better at it. Don’t forget, if you are unable to do this circuit at first, it’s ok to make things easier, for example putting your knees down during the pushups or not going as low on the squats - but you need to work towards cutting that out and doing all the exercises correctly as soon as possible. Stretches are also incredibly important, both before and after your workout, as working out will contract your muscle and cause tension, so helping them to relax again means you recover quicker, allowing you to workout again sooner. 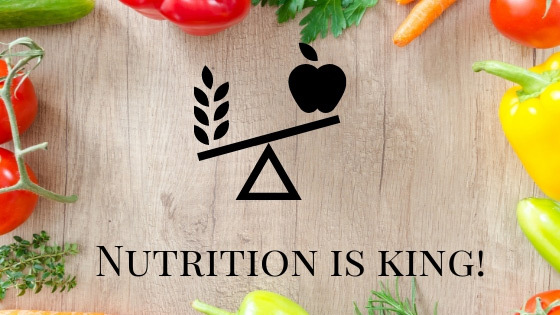 Nutrition is a crucial part of fitness that many people underestimate. If you stick to every tip we give here, and work your heart out, but still eat junk food every day, you will not make any progress. Essentially, think of before industrial food production and processed junk food was created, when people lived off what you could make on a farm - that’s how you should eat. Resistance bands, also known as fitness bands or fitness tubes, are a great and cheap alternative to weights. They are also easier and safer to use at home than traditional weights and require less space. There are a few points to beware of, for example, many people think resistance bands don’t work for them when trying them for the first time - they feel different to weights and work your muscles in a different way, so it’s no surprise that they feel so different. This is a good thing, however, as fitness tubes keep your muscles under tension for the entire range of movement, meaning they work you a lot harder than weights and this different feel can be quite off-putting to newcomers. Easy to Carry: You can take them on holiday, put them in the car, take them to a friends house to workout together. They are extremely easy to pack and carry. Make Your Workouts More Varied: With fitness bands, you can easily create a full body workout, without being limited to certain movements or body parts. Work For All Fitness Levels: If you start using fitness bands now, you can continue to use them no matter how strong or fit you get, making them perhaps the best value piece of workout equipment you’ll ever buy! Increase Balance and Core Strength: Because you are under tension the entire time you move your fitness band, your body needs to balance itself and your core muscles will be engaged. Most people think of fitness bands for use in strength and resistance training, and while this is the most common use, you can actually get a really good cardio exercise using fitness bands right there in your own home. Jumping Jacks: Once again, the body movement is exactly the same as regular jumping jacks, but with the fitness band held above your head in both hands. With each jump, you pull the band downwards to the left and right of your body. This builds chest and shoulder strength and makes an absolutely killer cardio workout. Bicycle Kicks: Sit on the floor in a sit-up position, place the fitness band around your legs, and rotate both legs in a circular motion as if you’re riding a bike. This strengthens both your core and legs and is an effective part of a circuit. Of course, the classic strength option is still a great way to use your fitness bands and you can even combine the strength moves with the cardio ones to make a full body exercise circuit. Chest Press: Probably the first movement you thought of when we started discussing fitness bands, this is done simply by sitting in a chair and wrapping the band around something sturdy like a door or rail. You can then push your hands away from your chest in a bench pressing movement. Row: Very similar but hold the band under your feet and pull backward, working your back and shoulders. Bicep Curls: Stand on the band with your feet, hold both handles in each hand and pull upwards in a bicep curling motion. If there’s one piece of equipment you absolutely have to get right, it’s your training shoes. First of all, you have to ensure they are perfectly fitted, as training shoes that are too small can damage your feet. But how do you know what kind of training shoes to buy if you haven’t been into exercise before? There are plenty of options out there, all designed for different activities, so it mostly depends what kind of sport you are hoping to begin training in. If, instead of taking up a sport, you are just planning to do circuits and go to gym classes, you want shoes that are light and easy to wear but can also absorb impact, giving you good balance for the variety of high-power movements you’ll be doing. They should have good cushioning and support, while being as light and flexible as possible, giving your feet the freedom to move and bend. Our recommendation for this is the Yonex Power Cushion 48 Badminton Shoes - being designed for badminton means they are well designed for multi-directional, rapid movements and they are flexible enough to handle almost anything you can throw at them. They also feel super light on the feet, putting a bounce in your step while still giving some protection. If weight lifting and strength training are your main interests, you need to look for shoes that are stable, have good grip and that are going to serve as good anchors, helping you keep your balance while lifting heavy weights. You should ideally look for raised, hard heels, thick soles, and supportive uppers. You also want to avoid thick cushioned soles that you sink into with each step, as this can absorb some of your power when lifting and make it hard to anchor yourself. Our recommendation is the Yonex Power Cushion Lumio All Court Shoes. They are designed to grip the court so give you incredible floor gripping qualities while still being protective enough with a stiff heel, giving you plenty of protection and a solid foundation from which to increase your lifting power. If you are just running a small amount, for example a 15 minute treadmill warm up as part of wider gym routine, you can wear almost any training shoes you like. But if you want to run regularly, and improve at it, you will need a pair of running shoes. Look for cushioning that absorbs impact, light heel support, and good grip, all packed into a very light shoe that doesn’t keep your toes restricted or make it difficult to bend them. The best running shoe at a budget is the Nivia Marathon 2.0 Running Shoes. As they are designed for marathon running they have a variety of high-tech benefits including extreme breathability that keep your feet cool and dry no matter how far you run. They are more than adequate for any beginning runner but when you develop to regularly running long distance, you may wish to upgrade to the Asics or Ascot, running shoe from the house of Sunrise India. These more than justify the extra cost, being some of the most comfortable running shoes we’ve ever come across and offering unmatched support, shock absorption and recovery from compression. Running in these feels a bit like being a superhero and will have you breaking your personal records in no time! Similar to the circuits session, for these type of sports you want light, flexible and adaptable shoes that let you turn on the spot and shift direction quickly without your shoes lagging behind or becoming a hindrance. The best tennis shoes are simple and functional, and our recommendation is Yonex Eclipsion. They are clean, simple and great looking, but also offer 10/10 cushioning and adhere well to any court. Cricket shoes need to breathe well and get rid of moisture to allow you to feel comfortable during long days on the field. They also often have spikes or extra grip to help you gain traction on grass. A lightweight material combined with optimised design will save the day here, and our recommendation is the Puma 19 FH Rubber Shoes. These are the best Puma cricket shoes and you could make an argument for them being the best cricket shoes ever made. That’s all for today, but keep checking the SportsUncle blog for regular in-depth guides to fitness and tips you can really use to push your fitness to the next level!